As for the specifications, the OPPO Find X is expected to feature a 6.4-inch display paired with 8GB of RAM and the latest Qualcomm Snapdragon SoC. OPPO’s new flagship smartphone is set to launch on June 19 in Paris. 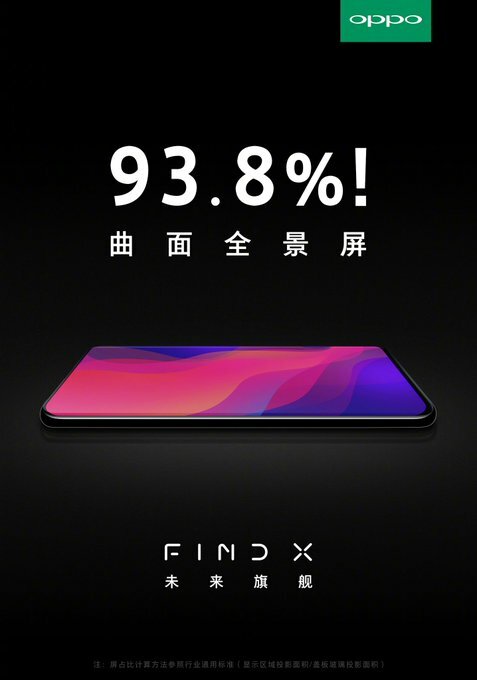 The OPPO Find X is already getting hyped with new leaks and rumours surfacing on the web past few weeks. The company has been hinting new display and new notch design and what not through its teasers (most of them are being leaked). A new leaked teaser showcases the whole front of the new OPPO Find X flagship phone and the device will most likely feature a screen-to-body-ratio of 93.8 per cent. This is the first flagship from OPPO to achieve this screen-to-body-ratio. 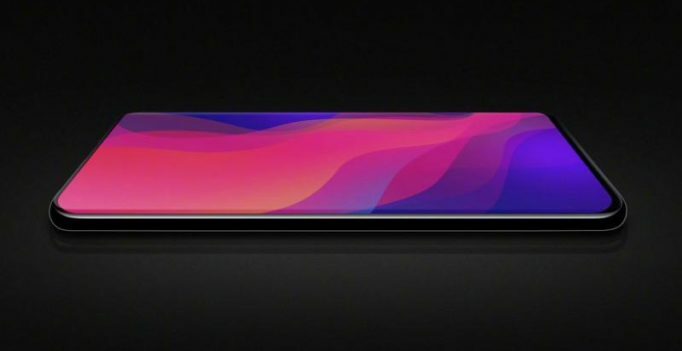 And, this is in direct competition with its cousin Vivo’s NEX phone launched last week, which already has the 91 per cent screen-to-body ratio. This new teaser leak was posted on Twitter by a tipster named Ice Universe. As for the specifications, the OPPO Find X is expected to feature a 6.4-inch display paired with 8GB of RAM and the latest Qualcomm Snapdragon SoC. The camera details aren’t known yet but the company had already confirmed that the camera would feature 5X zoom. The smartphone is also believed to use a periscope-style imaging system to achieve the lossless zoom. Earlier, leaked TENAA listing also reveals that the OPPO Find X would also support 5G connectivity as well. Kajol refuses the villain’s role in Salman’s ‘Dabangg 3’? Shah Rukh Khan meets his Juliet in London and we can’t stop adoring it! Hrithik Roshan ranks 3rd on the World's Most Handsome Faces list!